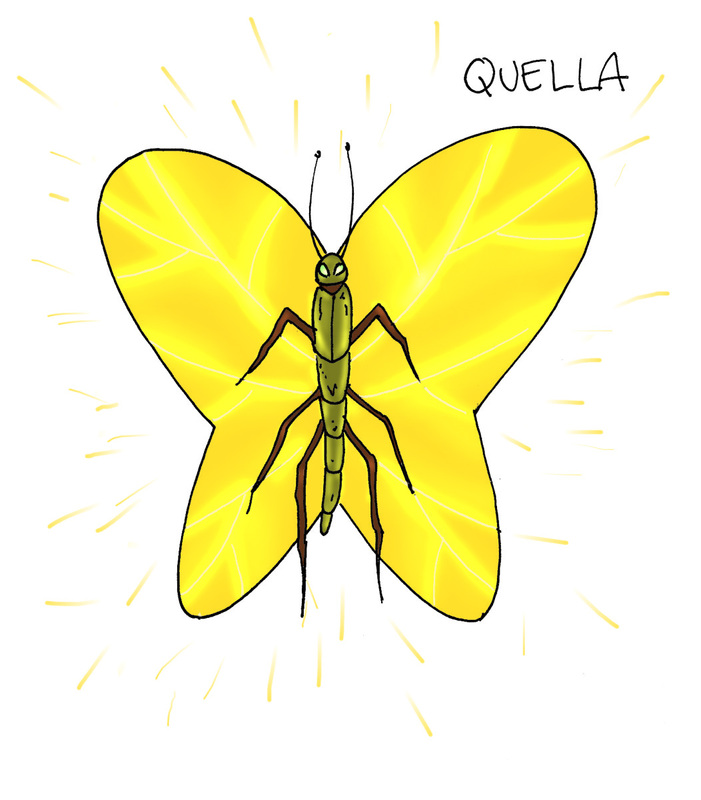 Description: Quella is similar to a gigantic butterfly only her wings explode letting loose sparklers or fireworks into the sky. She hates the pain in her wings due to the explosions, she hates that her children are mutated muddlers and wants revenge. Habitat: Quella lives in the Sparkler’s Caves. These can only be reached through the Air Caves or by someone who can fly to the tops of the mountains where the caves are located.